To claim your free rewards as a new user follow the instructions below. 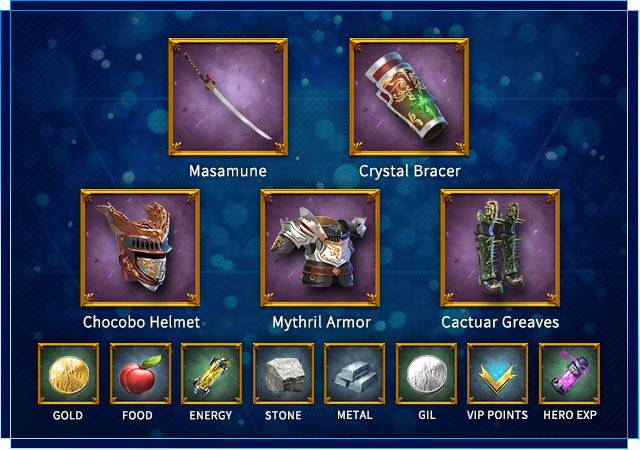 We'll deliver great gear such as; Masamune, Crystal Bracer, Chocobo Helmet, Mythril Armor, and Cactuar Greavers. On the computer: Enter your email or phone number (US only) below and click the received link on your phone or tablet before installing. On phone/tablet: Click the app store badge below before installing.